Academic advisors can help with degree planning, registering for courses and other related issues. 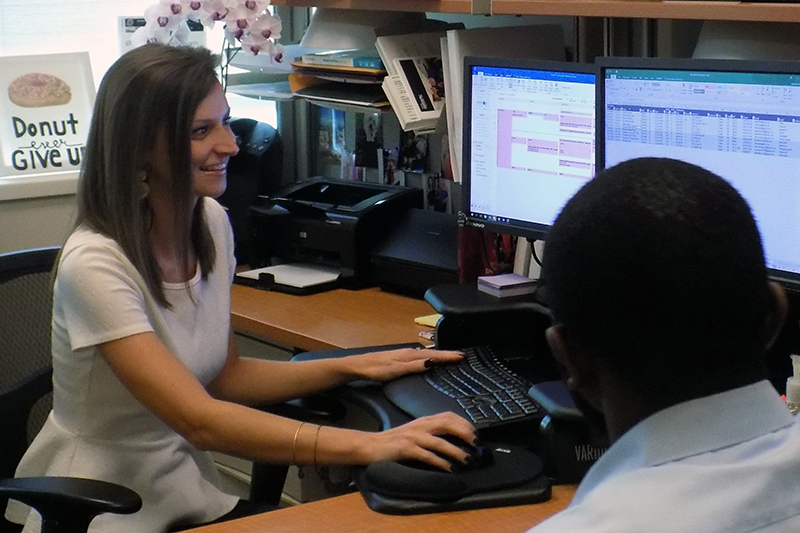 Our academic advisors provide students with one-on-one assistance and academic counseling. Pictured is Katie Hansen working with a student. To schedule an appointment, please call 402.554.2610 or stop by 218 CPACS to make an appointment in person. If you are a declared Criminology and Criminal Justice major, you can schedule an appointment online to meet with your advisor here. Students who would like to verify their course selections for upcoming semesters or have their advising hold released in place of seeing an advisor may access our online course approval for here.